It’s Weta Workshop’s 20th Anniversary this year, and what better way to celebrate with us than to visit Weta booth #3613 at San Diego Comic-con? Be among the first to see our exciting new range of products, being previewed at Comic-con! Meet our talented artists, take advantage of our special show promotions and get your hands on a Weta Treasure card. More Signings at the Weta Booth! 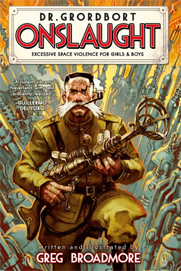 Grab an exclusive pre-release copy of the newest book in the Dr. Grordbort’s series: Onslaught – Excessive Space Violence for Girls & Boys, and have it signed by Greg Broadmore who will be on site throughout the show. Make sure you get in quick as there will only be a limited number available and they’re sure to go fast! 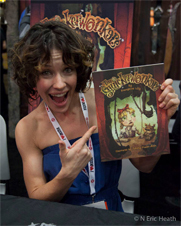 Evangeline Lilly will be joining us at the Weta booth to promote her delightful children’s book Squickerwonkers. On Friday she will be signing Squickerwonkers only. On Saturday she will happy to sign your Hobbit collectibles along with Squickerwonkers. 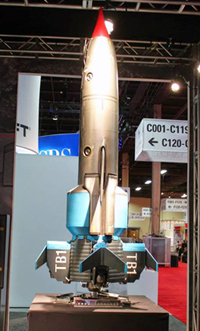 Gerry and Sylvia Anderson’s iconic Thunderbirds series turns 50 next year. Join the Thunderbirds team at San Diego Comic-con for a Q&A moderated by Rob Hoegee, head writer of the new series Thunderbirds are Go. Jamie Anderson (Anderson Entertainment) executive producers of the new Thunderbirds Are Go series Richard Taylor (Jane and the Dragon, The Wot Wots, LOTR), and Giles Ridge (Harry Potter: Behind the Magic, The Illustrated Mum) will talk about heritage programs, and the importance of remaining true to the ethos that made the show so successful first time around. Join the Thunderbirds team at San Diego Comic-con for this Q&A, moderated by head writer of the new series Rob Hoegee (Slugterra, Generator Rex, Teen Titans). NEW – 36 Bagshot Row – Available Now! Scattered among the grassy hills of Hobbiton like a purse full of lost coins, the bright round doors of many dozen hobbit-holes shine in bright, summery hues, each home to a Hobbit or family of the little folk. As diverse as the rosy-cheeked Hobbits themselves, every smial, as hobbit-holes are known, reflects the unique personality of its inhabitant and nestles into the hillside amid a sea of lush greenery. 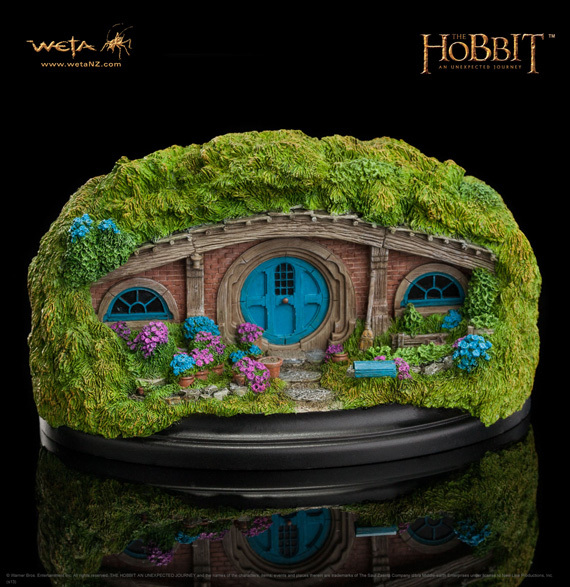 Turning right out of his front gate would lead Mister Bilbo Baggins past the entrance of number 36 Bagshot Row, the pretty, blue-doored home of one of Hobbiton’s most enthusiastic flower gardeners, with its front yard full of pots of colourful blooms.